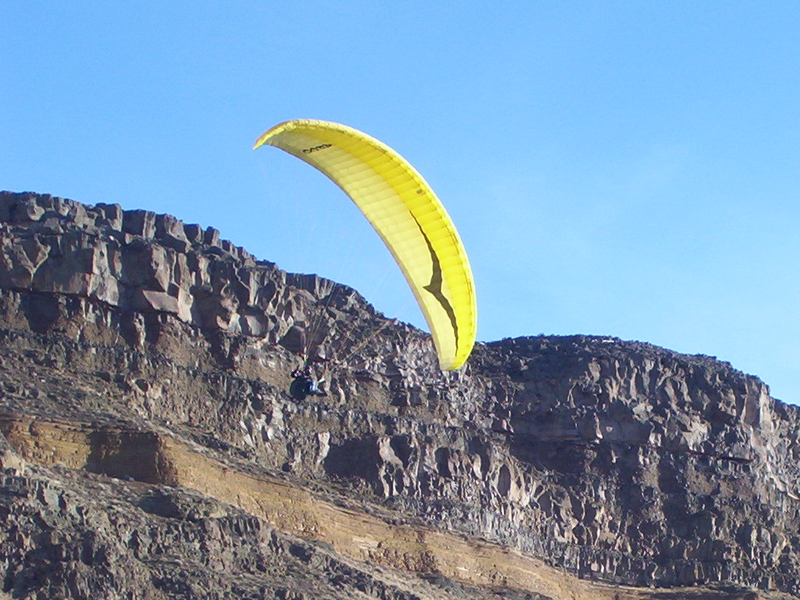 8Jan09 Finally got some flying in. 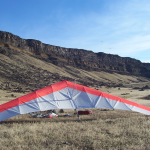 I made it out to Swan Falls and got some flying in last weekend. 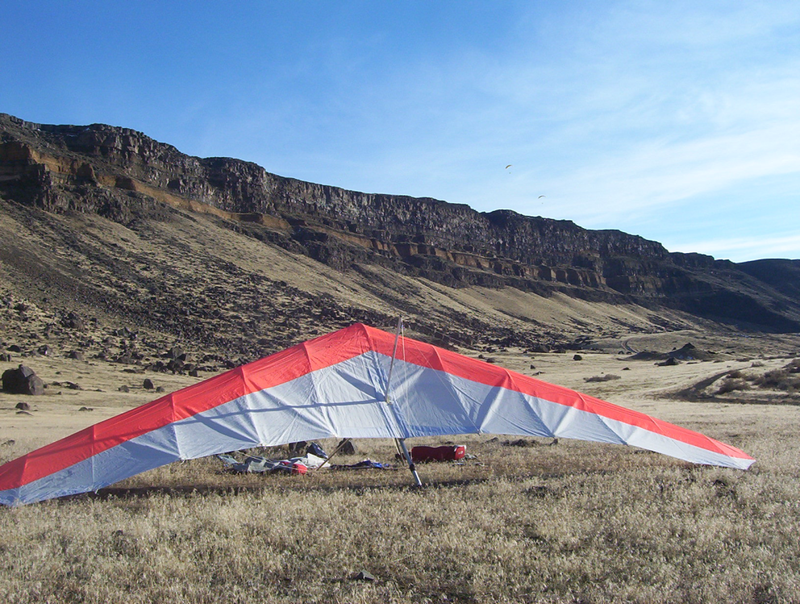 It was very cold, but I still managed to get in about 45 minutes of good ridge soaring. Mark, Bruce, Rob, and Greg all showed up. Lots of spectators too. Overall a good time. 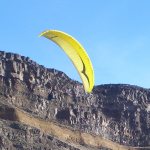 A picture of me (yellow glider) from the Swanfalls LZ.